Some people just have an eye for how to put things together; old and new, they just do it and it works. It’s a gift and a skill that Helen Shaw, owner of @blueticking most certainly has. 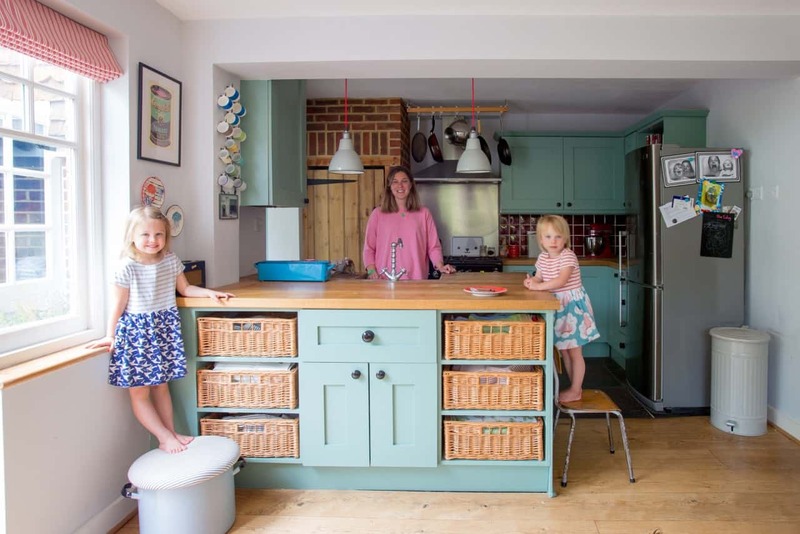 Helen and her family live in the Surrey Hills following a move from London when their first of their two girls were born. Helen had been working for Unicef when her and her husband John decided to make the move to their Victorian terrace in the village of Ewhurst. 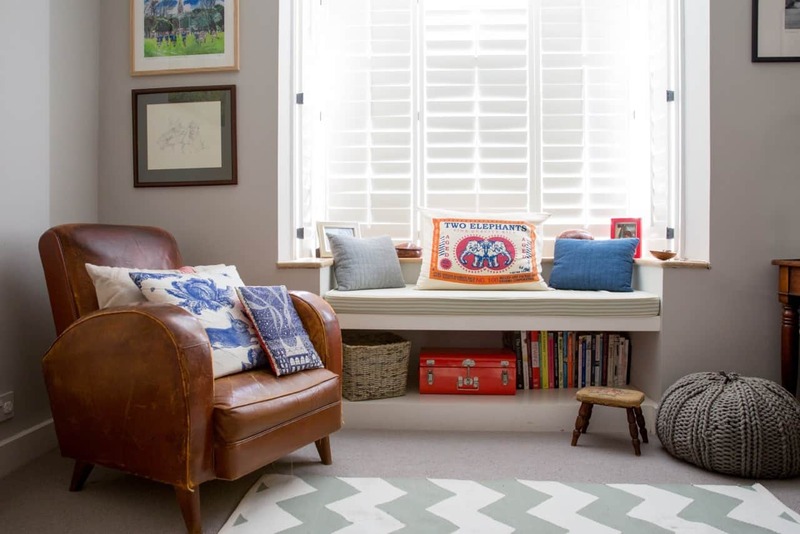 “We loved the Victorian style and we’d always wanted a period home – also the fact that it had stairs was a real appeal after living in flats in London for years!” explains Helen. 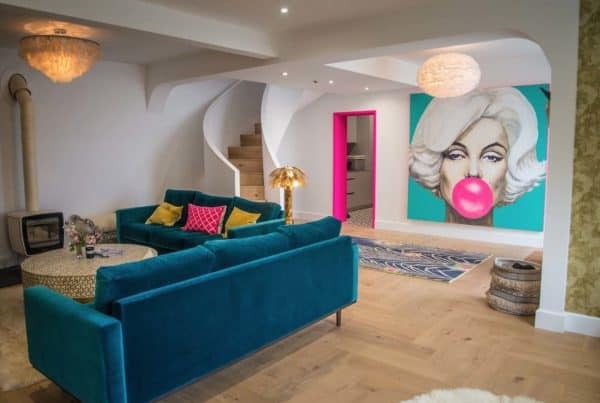 Helen has always been interested in interior design and four years ago she set up business ‘Blue Ticking’ as an outlet for her creativity and also as her income to fit in around the kids. 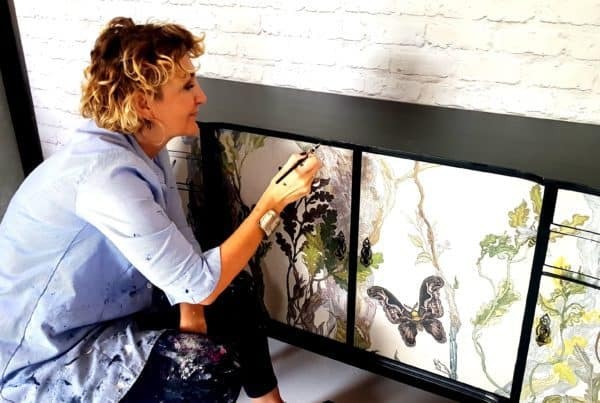 “Blue Ticking started when my husband and I struggled to find individual pieces of furniture for our two daughters, which were not only fit for purpose, but we liked and wanted in our home”. A builder by trade, John is very much involved in the business; “John has a real passion for brilliant craftsmanship and loves nothing better than tinkering away in his workshop!”. Blue Ticking sells lots of products for fabulous and fun spaces including products such a prints and colourful desks and storage solutions. Check out their beautiful products on their website at www.blueticking.co.uk. 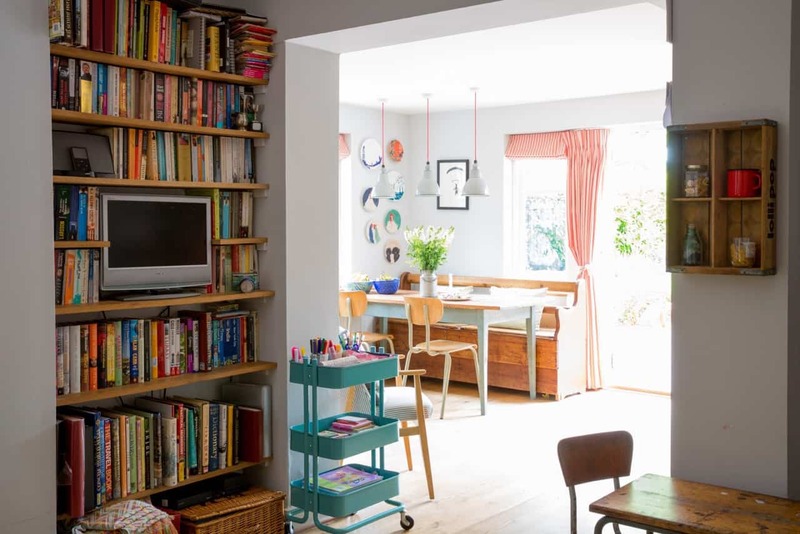 Helen and John’s home is a testament to their mutual creative sides. A beautifully curated blend of modern and vintage her home feels very personal and unique to the family; “I don’t like things that match, I like to mix it up. There are no rules, I just make it work!” explains Helen. 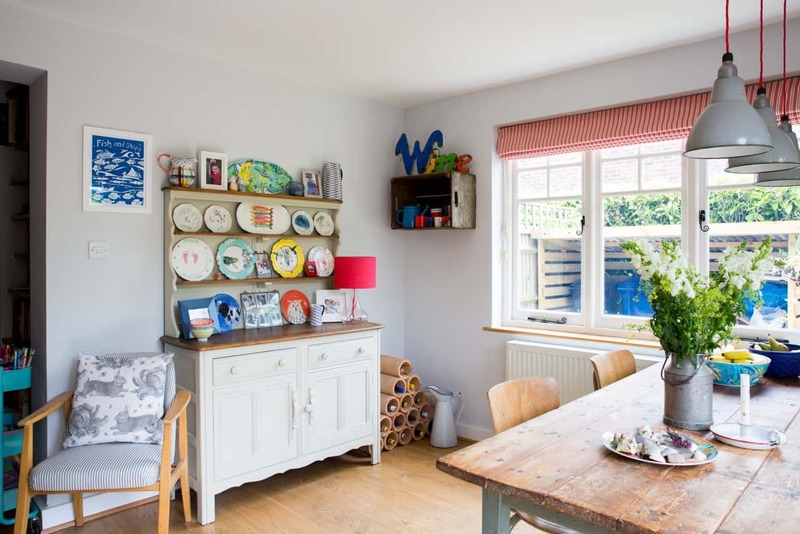 Colour is definitely a theme in Blue Ticking’s products and that’s evident in their Victorian home too; “I love colour, but it’s not a conscious thing, it just happens!” says Helen. The kitchen is the heart of their home. “It’s a really sociable space and I love that it leads out onto the garden” explains Helen. Each piece of furniture has a story to tell; “The dining room bench is from the house that my husband grew up in and its made its way around the family and now to us. The kitchen table has scribblings from the kids and I think it adds to its charm”. 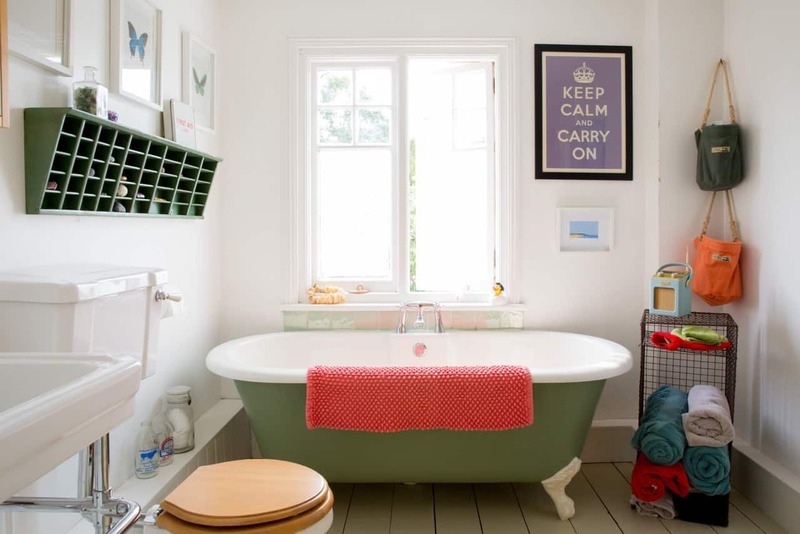 Husband John has recently renovated the loft to create an ensuite bedroom. 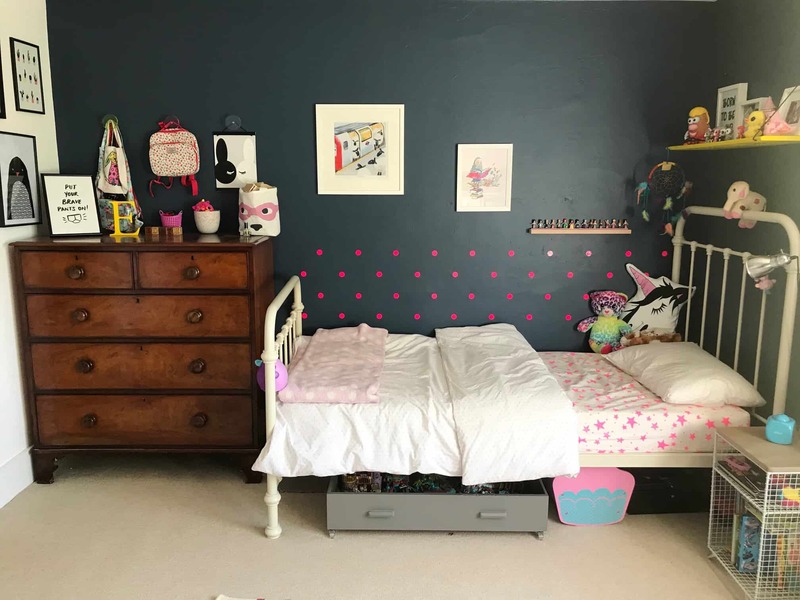 “It’s the first major piece of work we’ve done on the house and we’re really pleased with it” says Helen, “I will make our house work for us for the foreseeable future”. 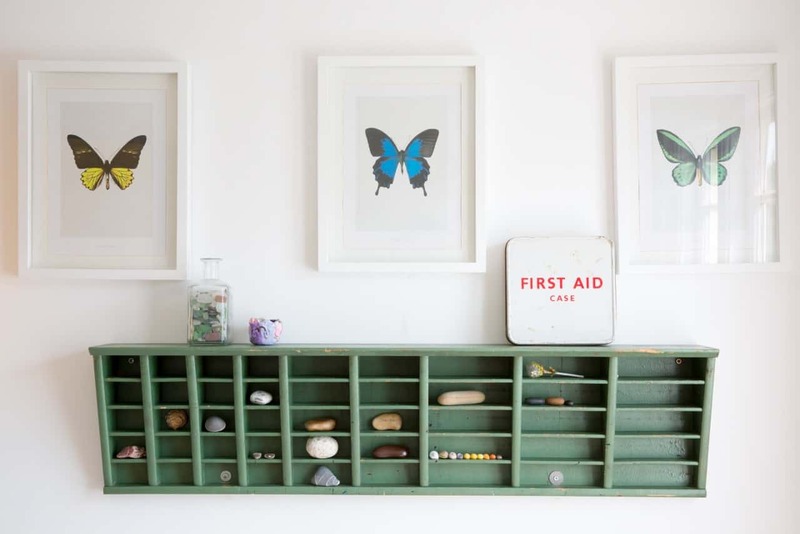 Some of Helen’s favourite pieces around the house are a mix of vintage and new. 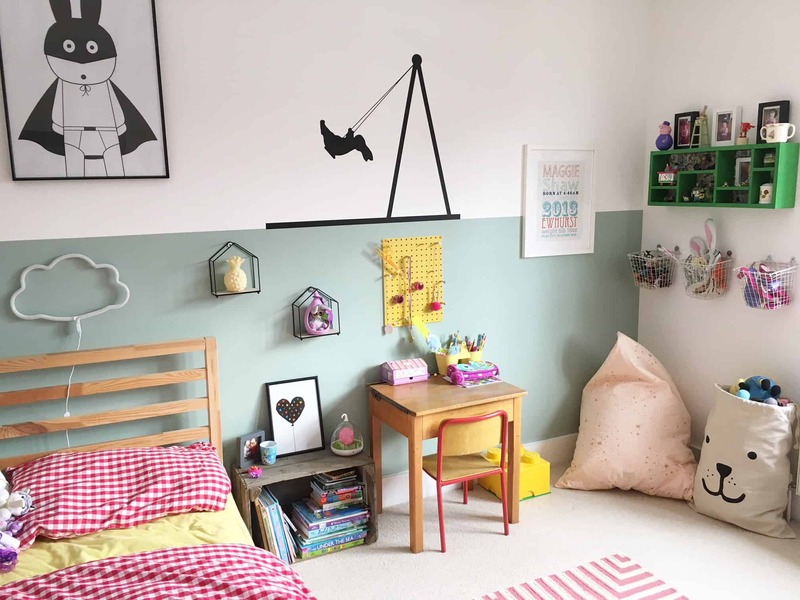 “I love my ‘Bed knobs and broomsticks’ bed that I found on eBay” One of Helen’s favourite brands is Anthropologie; “I’m a little obsessed! I have a collection of Anthropologie plates in the kitchen that I just love”. What does the kids beg you to cook? Thank you for your time Helen!